Election results 2017: New dawn for Labour? 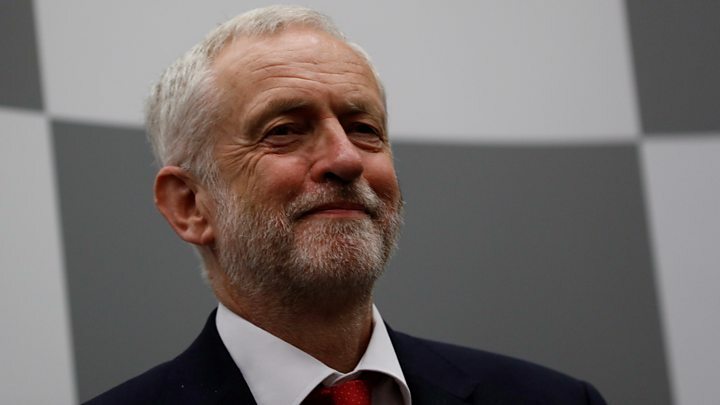 Media captionLabour leader Jeremy Corbyn: "I'm very, very proud of the campaign my party has run"
Well almost - Labour has gained its most votes since Tony Blair uttered that phrase the morning after the 1997 election. But there is one crucial difference. Labour won by a landslide then. This time they have merely stopped Theresa May from winning outright. Jeremy Corbyn has admitted he didn't expect to win Labour's leadership election. The first one, anyway. What happens if no-one wins the election? Many of his supporters felt he could cause a similar political upset by engaging and energising young people to vote. But, frankly, amongst the party's backroom strategists - and indeed many of its MPs - the result is a surprise. What was expected were some Labour gains but a net loss of seats - perhaps retaining around 200. What was also anticipated is that the share of the Labour vote - largely in safe seats - would go up. So today it was assumed anti-Corbyn forces would be arguing that the party had indeed been defeated as it wasn't good enough just to defy expectations. This would clear the ground for a later assault on his leadership. Now, with Labour picking up more seats as well as more votes than in 2015, two putative leadership challenges are on hold. It's worth scratching beneath the surface to assess why Labour has achieved a hung parliament when local election results and private polling (more in line with ICM, showing a clear Conservative lead, than Survation, which suggested a narrow gap) suggested otherwise. First, it appears there has been a higher turnout by younger voters - perhaps attracted by messages such as scrapping tuition fees in England. Second, Jeremy Corbyn played to his strengths and appeared authentic. But third - let's not lose sight of the campaigns fought by Labour MPs on the ground. Some, such as Peter Kyle, Paul Farrelly, Ben Bradshaw and Ian Austin, were explicit. They told voters they didn't back Jeremy Corbyn as Labour leader, airbrushed him from leaflets and said little about the party manifesto. John Woodcock, who held Barrow and Furness, where nuclear submarines are built, went further and said he wouldn't make Corbyn PM. Many others, though, avoided direct criticism of the party leader but their message was essentially the same: "Don't give Theresa May a landslide. Rein her in." It was not a confident message of a brave new dawn. But it looks like it was effective. The question is now whether Labour's fractious parliamentary party can unite behind its leader to put what would appear to be a minority Conservative government on the ropes - or whether the battle for Labour's future is just in a state of armed truce.